Outcome of Charity Commission inquiry into charity Masoom announced. 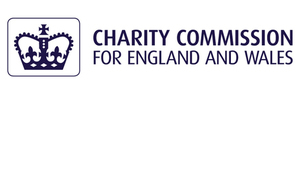 The Charity Commission today announced the results of its inquiry into Masoom (registered charity number 1124976). The charity was proactively identified for a visit by the Commission due to its operation in high risk areas, including Pakistan and Syria. The inquiry was opened on 30 July 2015 as a result of the Commission’s findings from its visit and in particular due to lack of evidence of overseas expenditure and due diligence on those the charity employed or worked with. On the 18 August 2015 the Commission issued an order to the charity’s trustees to improve the charity’s financial management and complete other actions - see endnote 1. The inquiry remained open to monitor the trustees’ compliance with the order. On 27 May 2016 the Commission revisited the Charity and reviewed documentation and information provided by the trustees to demonstrate their compliance with the order. The inquiry found that the trustees were unable to demonstrate the ultimate charitable application of funds expended by the charity’s agents. As a result, on 28 September 2016 the Commission used its powers to direct the trustees not to employ or use those agents to hold or transfer funds on behalf of the charity - see endnote 2. The inquiry closed with the report published today, it concluded that there was evidence of poor financial management and governance in the charity. There was also evidence of misconduct and/or mismanagement in the charity’s administration by the trustees. The Commission will revisit the charity again to ensure that the trustees are complying with their legal duties and responsibilities under charity law and are implementing the processes and procedures which have been put in place as a result of the Commission’s order issued on 18 August 2015. Trustees are responsible for their charity’s financial affairs both in the UK and internationally. Trustees must keep records and an adequate audit trail to show that the charity’s money has been properly spent on furthering the charity’s purposes for the benefit of the public. Often when working internationally charities operate through local partners which can be an effective way of delivering significant benefits direct to a local community. However trustees are still responsible for ensuring the proper application of the charity’s funds and must ensure that they put in place the proper process for due diligence and monitoring the charity’s operations. The Commission made an order on 18 August 2015 under section 84 of the Charities Act 2011 directing the trustees to take specified action within a set timeframe. Full details of the order are available in the report. The Commission made an order on the 28 September 2016 under section 84A of the Charities Act 2011 directing the trustees not to employ or procure the agents to hold, apply, distribute, expend or otherwise transfer the charity’s funds or other property held on behalf of the charity until such time as the order is either varied or revoked by the Commission. Full details of the order are available in the report.